Before, I never thought I would put up a blog myself. I am a very private person and doesn't talk too much of myself to others. Until these beauty bloggers inspired me with all these beauty-related thing, I wanted to learn, to experience and to share everything that I read, watched and see on their blogs. So, just like many others I put up a blog and write everything I learned; also to help others who are in search for beauty related lessons. 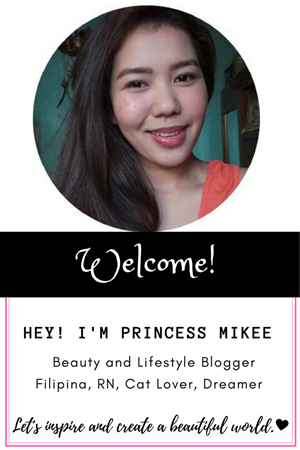 I named my blog Beauty by Princess, by that time. It was so much fun experience. I made beauty product reviews and beauty talks. Then, I tried other things. I tried beauty tutorials and DIY's. And finally, I started to share some lessons in life, guide, travel, my love, my pets and most especially my life experiences. Hello, hello! You've seen me post a lot about Colour Collection products recently because I actually got a loot of make-up goodies from Sample Room for winning their Colour Collection Blog contest. Hooray! I was a happy kid when I got all these products (except the Age Defying BB cream ). It was amazing that I got to try all these products. Last time I posted about make-up review, I featured Colour Collection which I've been using lately. 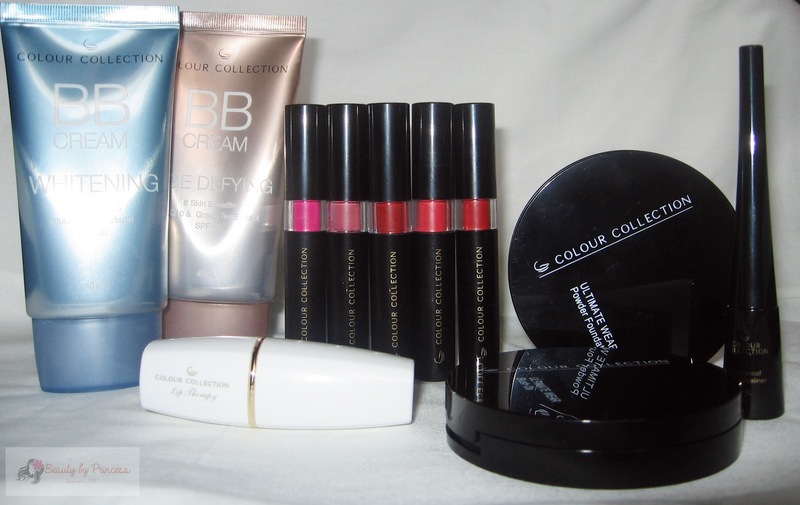 Now, I have gathered all my reviews on Colour Collection products I made and created a haul. Colour Collection is by Tupperware brands which is very new to me. It is my first time to try out their products. I personally don't see these products on the market so the truth is, I don't know where to actually purchase it. 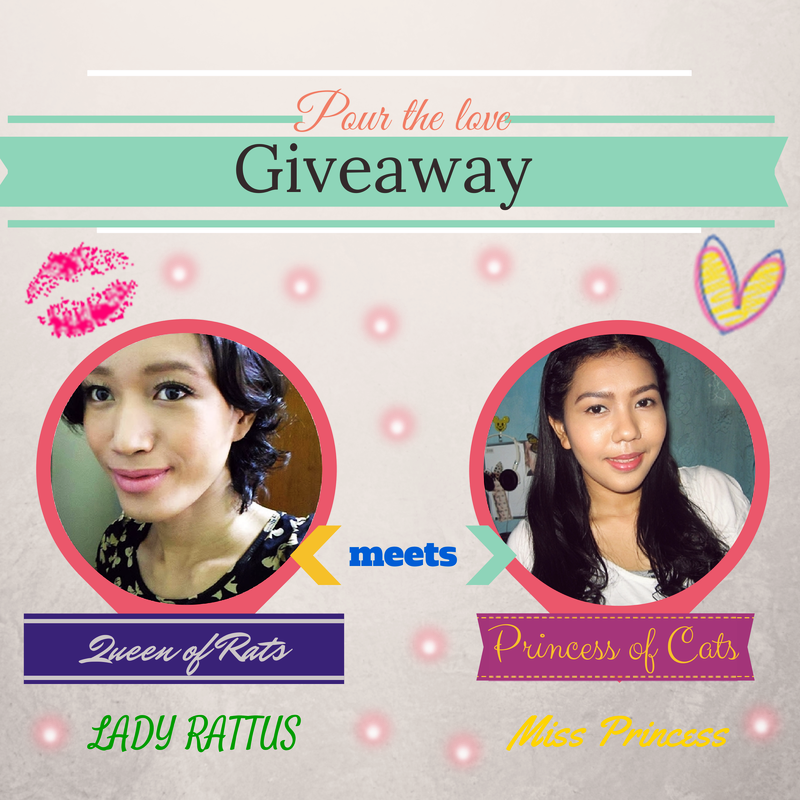 A Year of Blogging: An Anniversary Special + Pour the Love Giveaway! Happy First Anniversary Miss Princess Diaries! Since I started this beautiful journey of blogging, it gives me an unexplainable joy of expressing myself and knowing what I can still do. At first, my blog was purposely as my special diary of exploring things I could imagine doing, it was more on my search for beauty. Personally, I am a girl with low self-esteem when it comes to physical appearance and one of my frustration is to look good in the eyes physically. But as I am on my journey where I learned everything about beauty and beauty products, I realized that after all, looking good makes you feel good but what is more important is what really makes you happy and the good desire of your heart. It is not about pleasing other people, it is not a pleasing game. It is your own game. Do it for yourself, do it to make you happy. In my little space in the net, I knew I could do so much, inspire a lot and be inspired by others. I learned a lot. (Well, you could learn from a lot of things, even on little things). 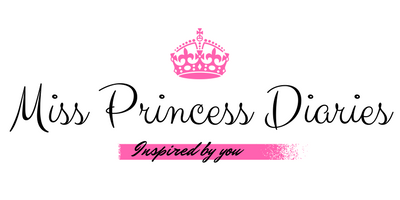 This blog is just one of your inspiration but there is a lot more you could do to be inspired. Go in and go out to be inspired. Live to be inspired. 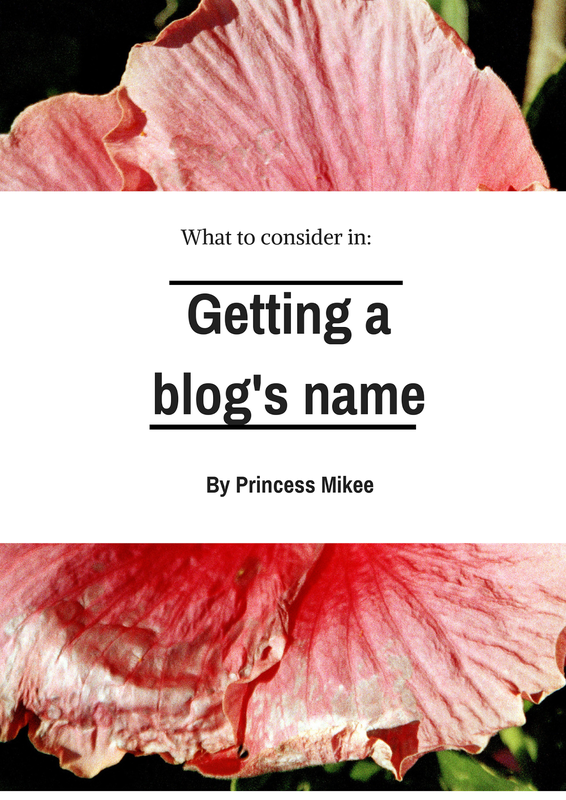 Blogger Guide: Getting a blog's name. 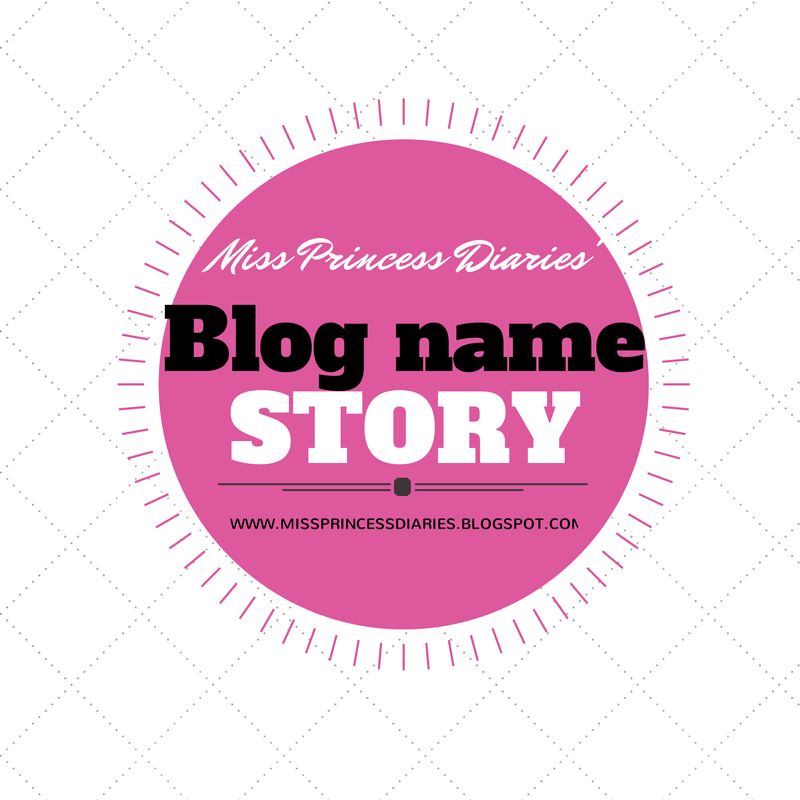 For today, I wanted to talk about getting a blog's name. For those who have changed their blog names through the years will highly relate to this topic. I, myself, have experienced the same until I found the best for me. Well, they can't blame us; nothing's permanent in this world but change. But of course dearies, time will come that you have to decide for yourself what blog name you will stick with forever and established a foundation.